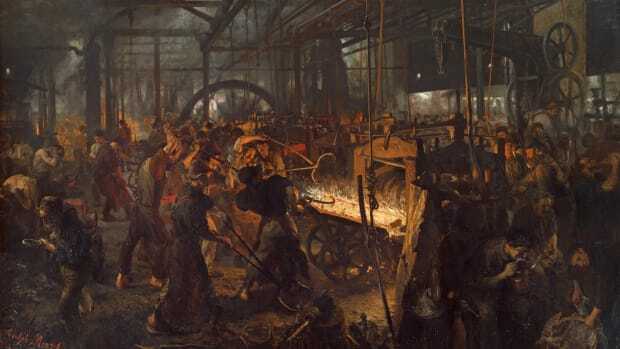 The 19th century was a period of great change and rapid industrialization. 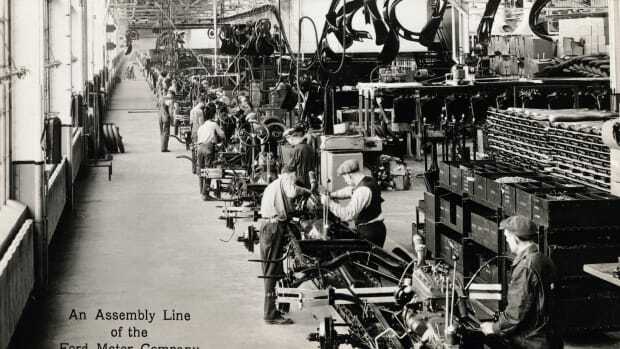 The iron and steel industry spawned new construction materials, the railroads connected the country and the discovery of oil provided a new source of fuel. The discovery of the Spindletop geyser in 1901 drove huge growth in the oil industry. Within a year, more than 1,500 oil companies had been chartered, and oil became the dominant fuel of the 20th century and an integral part of the American economy. Many of the early explorers of America encountered petroleum deposits in some form. 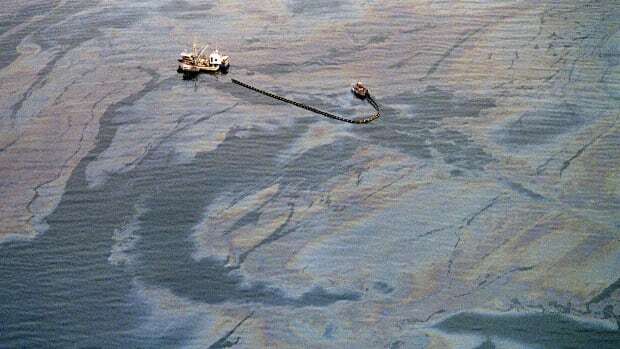 They noted oil slicks off the coast of California in the sixteenth century. Louis Evans located deposits along the eastern seaboard on a 1775 map of the English Middle Colonies. Did you know? In 1933, Standard Oil secured the first contract to drill for oil in Saudia Arabia. Settlers used oil as an illuminant for medicine, and as grease for wagons and tools. Rock oil distilled from shale became available as kerosene even before the Industrial Revolution began. While traveling in Austria, John Austin, a New York merchant, observed an effective, cheap oil lamp and made a model that upgraded kerosene lamps. Soon the U.S. rock oil industry boomed as whale oil increased in price owing to the growing scarcity of that mammal. Samuel Downer, Jr., an early entrepreneur, patented “Kerosene” as a trade name in 1859 and licensed its usage. As oil production and refining increased, prices collapsed, which became characteristic of the industry. The first oil corporation, which was created to develop oil found floating on water near Titusville, Pennsylvania, was the Pennsylvania Rock Oil Company of Connecticut (later the Seneca Oil Company). George H. Bissell, a New York lawyer, and James Townsend, a New Haven businessman, became interested when Dr. Benjamin Silliman of Yale University analyzed a bottle of the oil and said it would make an excellent light. Bissell and several friends purchased land near Titusville and engaged Edwin L. Drake to locate the oil there. Drake employed William Smith, an expert salt driller, to supervise drilling operations and on August 27, 1859, they struck oil at a depth of sixty-nine feet. So far as is known, this was the first time that oil was tapped at its source, using a drill. Titusville and other towns in the area boomed. One of those who heard about the discovery was John D. Rockefeller. 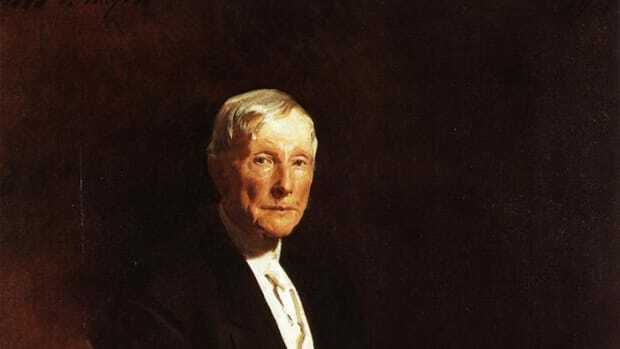 Because of his entrepreneurial instincts and his genius for organizing companies, Rockefeller became a leading figure in the U.S. oil industry. In 1859, he and a partner operated a commission firm in Cleveland. They soon sold it and built a small oil refinery. 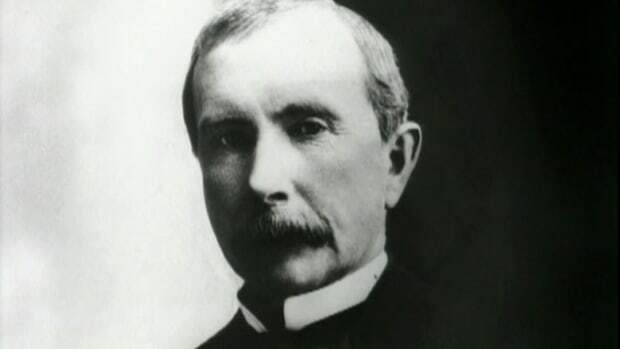 Rockefeller bought out his partner and in 1866 opened an export office in New York City. The next year he, his brother William, S. V. Harkness, and Henry M. Flagler created what was to become the Standard Oil Company. Flagler is considered by many to have been nearly as important a figure in the oil business as John D. himself. Additional discoveries near the Drake well had led to the creation of numerous firms and the Rockefeller company quickly began to buy out or combine with its competitors. As John D. phrased it, their purpose was “to unite our skill and capital.” By 1870 Standard had become the dominant oil refining firm in Pennsylvania. Pipelines early became a major consideration in Standard’s drive to gain business and profits. Samuel Van Syckel had built a four-mile pipeline from Pithole, Pennsylvania, to the nearest railroad. When Rockefeller observed this, he began to acquire pipelines for Standard. Soon the company owned a majority of the lines, which provided cheap, efficient transportation for oil. Cleveland became a center of the refining industry principally because of its transportation systems. When product prices declined, the ensuing panic led to the beginning of a Standard Oil alliance in 1871. Within eleven years the company became partially integrated horizontally and vertically and ranked as one of the world’s great corporations. The alliance employed an industrial chemist, Hermann Frasch II, to remove sulfur from oil found at Lima, Ohio. Sulfur made distilling kerosene very difficult, and even then it possessed a vile odor—another problem Frasch solved. Thereafter, Standard employed scientists both to improve its product and for pure research. Soon kerosene replaced other illuminants; it was more reliable, efficient, and economical than other fuels. Eastern cities linked to the oil fields by rail and boat boomed also. The export trade from Philadelphia, New York, and Baltimore became so important that Standard and other companies located refineries in those cities. As early as 1866 the value of petroleum products exported to Europe provided a trade balance sufficient to pay the interest on U.S. bonds held abroad. When the Civil War interrupted the regular flow of kerosene and other petroleum products to western states, pressure increased to find a better method of utilizing oil found in such states as California. But Standard exhibited little interest in the oil industry on the West Coast before 1900. In that year it purchased the Pacific Coast Oil Company and in 1906 incorporated all its western operations into Pacific Oil, now Chevron. Edward L. Doheny located Los Angeles’s first well in 1892, and five years later there were twenty-five hundred wells and two hundred oil companies in the area. When Standard entered California in 1900, seven integrated oil companies already flourished there. The Union Oil Company was the most important of these. Operating difficulties plus the threat of taxation on its out-of-state properties led to the creation of the Standard Oil Trust in 1882. In 1899 the trust created Standard Oil Company (New Jersey), which became the parent company. The trust controlled member corporations principally through stock ownership, an arrangement not unlike that of the modern-day holding company. The tremendous growth of Standard did not occur without competition. Pennsylvania producers engineered the creation of an important competitor, the Pure Oil Company, Ltd., in 1895. This concern endured for more than a half century. In 1901 one of the largest and most significant oil strikes in history occurred near Beaumont, Texas, on a mound called Spindletop. Drillers brought in the greatest gusher ever seen within the United States. This strike ended any possible monopoly by Standard Oil. 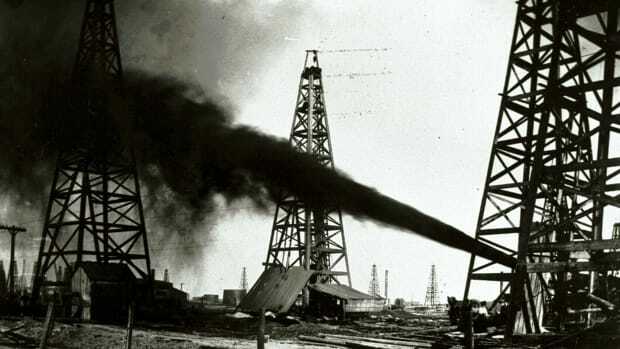 One year after the Spindletop discovery more than fifteen hundred oil companies had been chartered. Of these, fewer than a dozen survived, principally the Gulf Oil Corporation, the Magnolia Petroleum Company, and the Texas Company. The Sun Oil Company, an Ohio-Indiana concern, also moved to the Beaumont area as did other firms. Other oil strikes followed in Oklahoma, Louisiana, Arkansas, Colorado, and Kansas. Oil production in the United States by 1909 more than equaled that of the rest of the world combined. Many smaller companies developed outside the Northeast and the Midwest where Rockefeller and his associates operated. Oil found at Corsicana, Texas, in the 1890s attracted a remarkable Pennsylvanian, Joseph S. (“Buckskin Joe”) Cullinan, who organized several small companies. He later moved to Spindletop where he became instrumental in the organization of the Texas Company, soon a major competitor of Standard. Henri Deterding, creator of the Royal Dutch-Shell Group in Holland and Great Britain, moved into California in 1912 with his American Gasoline Company (Shell Company of California after 1914). As Standard Oil grew in wealth and power, it encountered great hostility not only from its competitors but from a vast segment of the public. Standard fought competition by securing preferential railroad rates and rebates on its shipments. It also influenced legislatures and Congress through tactics that, though common in that era, were unethical. Nor was the company’s handling of labor any better. In 1911 the Supreme Court declared that the Standard Trust had operated to monopolize and restrain trade, and it ordered the trust dissolved into thirty-four companies. That the trust’s share of the industry had declined from 33 to 13 percent the Court held to be of little consequence. The splitting-off of the Standard affiliates proved difficult. Some marketed, some produced, some refined, and these concerns quickly moved toward vertical integration of their businesses. But the 1911 decision ensured that though the industry might have giants, they at least competed with one another. Increasing sales of gasoline first for automobiles and then for airplanes in the early 1900s came as oil discoveries across the United States mounted. The oil industry had a vast new market for what had been for many years a useless by-product of the distilling process. As soon as the internal combustion engines created demand, refiners sought better methods to produce and improve gasolines. Before its entry into World War I, the United States contributed oil to the Allies, and in 1917 the oil companies cooperated with the Fuel Administration. At war’s end executives who had served with that agency created the American Petroleum Institute (1919), which in time became a major force in the economy and the business. Although the U.S. oil industry had marketed abroad extensively before the war, it owned few foreign properties. Judging from government surveys, many producers believed that a major oil shortage would soon occur. Both Secretary of Commerce Herbert Hoover and Secretary of State Charles Evans Hughes began to pressure American companies to seek oil abroad. These firms invested in the Middle East, Southeast Asia, and South America and searched for oil everywhere while they continued to export quantities of oil from the United States. The individual who focused attention back on the United States was Columbus Marion (“Dad”) Joiner. Joiner became convinced that some flatlands in an East Texas basinlike structure contained oil. He obtained a lease near Tyler, Texas, and on October 5, 1930, after having drilled two dry holes, struck perhaps the largest oil pool ever found in America. It lay beneath 140,000 acres and contained 5 billion barrels. H. L. Hunt, an oil entrepreneur, bought Joiner’s leases and later sold them to oil companies at a profit of $100 million, thereby adding to his already substantial fortune. In a sense the Joiner strike came at an inopportune time; it was the onset of the Great Depression. The price of oil plummeted to ten cents a barrel in 1931, creating chaos in the industry. But some New Deal measures restored a modicum of prosperity, and then World War II stimulated the oil business enormously. The various oil strikes focused attention on a legal situation unique to the United States. Land ownership carried with it rights to all subsoil minerals, termed the common law “right of capture.” Oil companies, like other mineral companies, negotiated with each landowner for drilling rights. This right of capture continued for years despite the efforts of such industry giants as conservation-minded Henry L. Doherty of Cities Service Oil Company, who sought to institute oil field unitization. The right of capture ensured early exhaustion of oil fields and tragic waste of a valuable energy source. Wallace E. Pratt, a geologist and longtime Jersey Standard leader, has estimated that by releasing the natural gas that often underlies petroleum pools and by using poor production techniques, oil producers have wasted at least 75 percent of the oil and natural gas found to date in the United States. 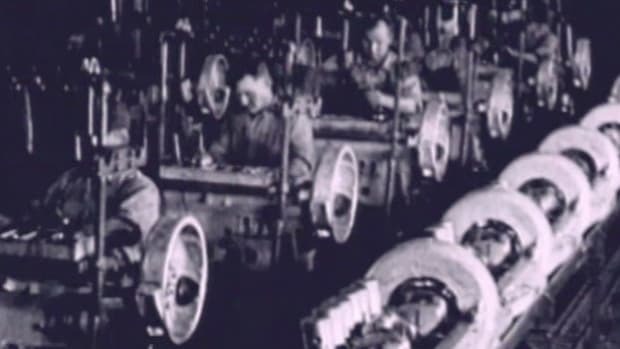 World War II made the oil industry a key American resource. Oil company research and executive leadership played major roles in the conflict. Research increased the number of products made from petroleum and natural gas, including the explosive tnt and artificial rubber. The Jersey-Dupont jointly owned product, tetraethyl lead, upgraded gasoline to improve airplane speed. Oil tankers supplied gasoline for the Allies at great risk from submarine attacks. The government rationed gasoline and controlled prices during the war. 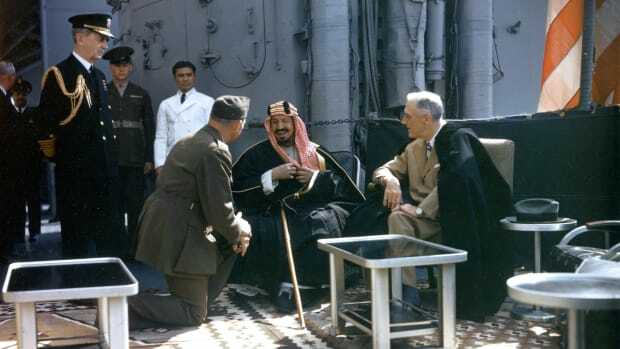 In the last analysis the war ended the delusion that American supplies of crude were unlimited, so that the industry and the securing of oil became a top priority for both foreign and domestic policy. When the war ended, the United States faced the problem of stabilizing the peace. Over the next forty-five years numerous major crises occurred, in many of which oil played a key role. Europe underwent a coal shortage, the first energy crisis, immediately after the war. The Marshall Plan, created to solve that and other problems, was hampered by the first Iranian crisis of 1950-1954. 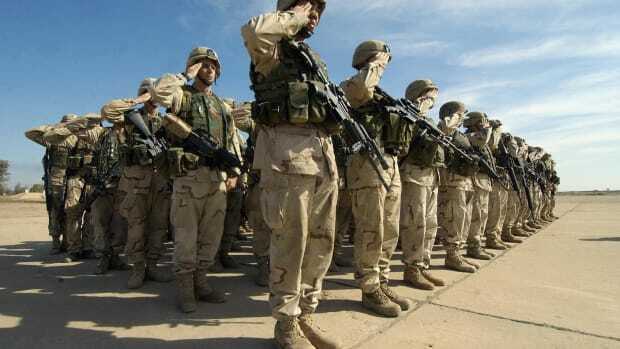 From the 1956 Suez crisis to the Iraqi invasion of Kuwait in 1990, oil proved to be the most important consideration in America’s Middle Eastern policy. The United States sought to balance support for the new state of Israel against the pressures of the oil producers, mostly Arab, united in 1960 as the Organization of Petroleum Exporting Countries (opec). This proved increasingly difficult as the United States became steadily more dependent on imported oil. In the United States the standard of living based on cheap oil continuously rose and the public, accustomed to this way of life, resisted all conservation measures. The United States continues to consume about two-thirds of the world’s oil production. Oil should be considered the keystone of the standard of living in the United States and to a large degree its rank as a world power. Part of the energy problem after 1940 resulted from the depletion of domestic oil reserves during World War II—around 6 billion barrels. In the Vietnam struggle experts contend the United States supplied about 5 billion barrels of oil, although great quantities of that came from Middle Eastern properties owned by American companies. Certainly the total for both wars represents a quantity larger than either that of the great East Texas oil field or possibly that discovered on Alaska’s North Slope in 1967. After the 1960s, as domestic production declined and demand soared, the oil industry had to import vast quantities from the Middle East and Venezuela. The nation’s key energy source increasingly hinged on balancing diplomatic relations with Arab oil-producing nations while continuing its aid to Israel. While the United States was blessed with plentiful supplies of oil its growth to the rank of a great power accelerated. In today’s world as an oil-dependent power it must find alternate sources of energy or accommodate drastic changes in its way of life and position in the world. Paul H. Giddens, The Birth of the Oil Industry (1938); Ralph W. and Muriel E. Hidy, Pioneering in Big Business, 1882-1911 (1955); Bennett H. Wall et al., Growth in a Changing Environment: A History of Standard Oil Company (New Jersey), 1950-1972, and Exxon Corporation, 1972-1975 (1988); Daniel Yergin, The Prize: The Epic Quest for Oil, Money, and Power (1990).